We’ll be in the little theater. Enter on the west side of the school. The exam is due by 11:59pm September 13, so this will be a timely opportunity for group learning while preparing for the remainder of the season. Thanks for all your continued work and we look forward to seeing you on Monday. 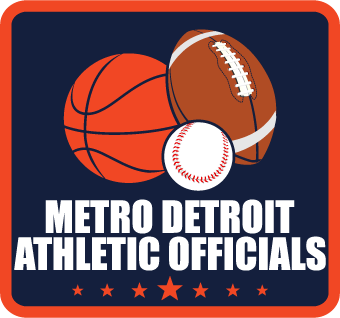 Copyright © 2019 Metro Detroit Athletic Officials. Powered by WordPress. Designed by myThem.es.